There are eight different limbs to yoga. The poses or asana is just one of them. That is probably the one you are familiar with, the poses. Modern Western yoga is primarily about the poses. When you hear yoga, you more than likely think of an exercise where people bend and stretch. Well, as I mentioned there are eight limbs to yoga, meaning there is a lot more to yoga than just the poses. I often compare yoga and Nia because there is a lot more to Nia than just the dance exercise. A lot of what we do in Nia or the way we approach dancing and exercising can be applied to everyday life – and that is just like yoga. One of the limbs or aspects of yoga is Pranayama. Prana = Life Force Yama = Practice / control / restrain. 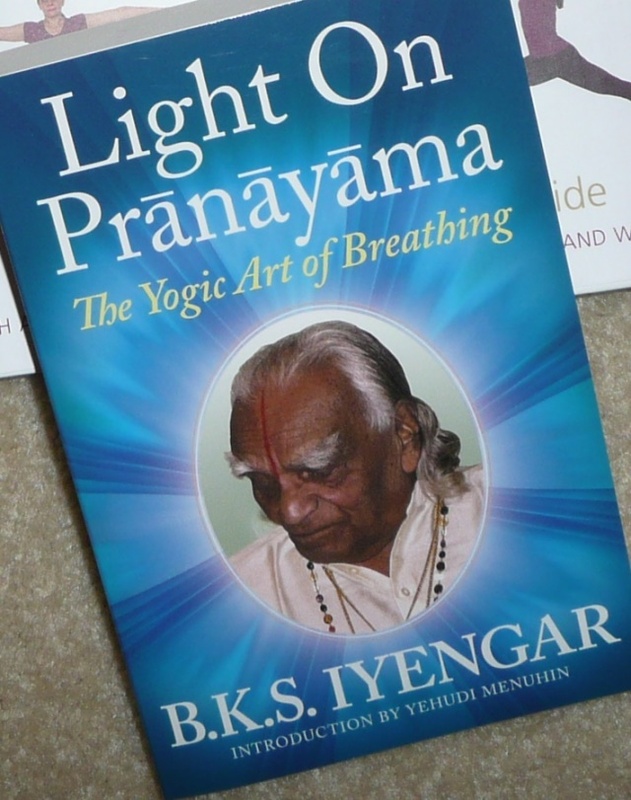 Pranayama is controlling your breath. There are many types or ways of doing Pranayama. There are also many schools of thought when it comes to it. Some think you shouldn’t do it until you have mastered the asana . . . but then for many of us, that would mean never doing it . . . or doing it very late in life. Some say it must be done in a seated position. Some say not to do it while in Shavasana. Some say each Pranayama has its place. Some say you can jsut do it whenever. Some say Pranayama is a silly practice. For those that think it is silly I would just like to point out that controlling one’s breath is a very common technique for many things. Sometimes we take a deep breath before we are about to say something important or difficult. We might take a deep breath when our thoughts are racing and we want to calm them down. We might take a deep breath when we are excited and need to calm down. We might do a bit of a pant when we are experiencing pain. There are many common breathing techniques that pretty much most of have participated in. So Pranayama should really be too far out there for people to accept. Doesn’t mean everyone has to do it, but I feel it means pretty much everyone could agree that there is merit to it. The ones that I have previously posted about: Samavrtti (Equal Breath), Ujjayi (Victorious Breath), and Sitali (Cooling Breath), I feel that I can do. The one I am posting about now is not one that I can do. It is very difficult for me. I can get part of it but not all of it. I am talking about Dirgha or 3 Part Breath. With the Dirgha Pranayama you breathe into your torso in three parts. I was taught that you practice this Pranayama lying down. First you inhale, gently expanding the belly, as you continue to inhale you expand the ribs, allowing them to open up to the sides, then complete the inhale by expanding the upper chest, lifting it. To complete the breath you exhale starting with the upper chest — don’t let the ribs or the belly move — then exhale from the ribs allow the rib cage to shrink, then finish the breath by emptying the belly area allowing it to deflate. Repeat this process with a smooth and relaxed breath. So the breath is not done in three parts, but the breath is brought into three different areas one at a time. It is an extreme challenge for me to separate each area on the exhale. One technique that can help with the separate or at least give you a visual as to the separate areas is to place something on each area. Yoga sandbags are the perfect tool. Something with a little weight seems to help for me. But a towel or whatever can lay across each area and indicate movement is great. Pranayama is practiced – just giving a few – to help improve lung function, to steady the mind (when the breath is steady the mind is steady), and to relax the body and mind. So, if you want to achieve any of these, then you might want to try the Dirgha Pranayama. When you read it, did you try it? How did you do?